Over the last 35 years, Damian has served clients in their commercial real estate brokerage and investment needs. Damian has managed the transactions for leases and purchases of all property types, totaling more than 2 billion dollars. Damian works with decision makers to leverage real estate and proficiencies towards bottom-line savings while protecting their interests. Damian sees McKinney as an extension of his family, and everyone at McKinney values his ability to calm the waters when they’re rough, and to serve as a guiding light. Damian’s reputation is internationally recognized, strengthened by his deep understanding of the current economy and diverse experience in multi-market real estate transactions. After experiencing the level of care and integrity that Damian took with their companies’ real estate, many clients requested the same level of service in their individual real estate investing. Damian now invests in real estate on behalf of his clients. Damian is the expert at identifying value-added investment opportunities to fit each client’s needs. Damian lives his life for the sake of others. Whether working with clients or serving his family and the community, Damian’s goal is to empower others to become better versions of themselves through knowing the McKinney team. Lori McKinney has over 30 years of experience in maximizing finances in investments of real estate and portfolio management. 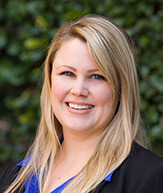 She takes pride in providing clients with confidence in their real estate decisions by maintaining a fiduciary approach. Lori has been the CFO of McKinney since its inception in 2010, and in just five years, annual gross revenue doubled. Much of McKinney’s financial success is owed to Lori’s financial expertise and procedural capabilities. 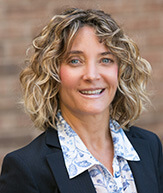 Lori assists investors and owner-users in managing expenses, budgeting, and forecasts, as well as strategic remodels for maximum value adding in real estate investments. She is thorough and careful with each asset and maximizes value for future disposition. 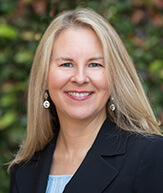 Lori also brings her financial expertise to the asset management team through financial forecasting and asset repositioning. She carefully prepares tax documents for all investors and keeps important dates for clients. Lori is responsible for everything that approaches a balance sheet or profit and loss statement. Lori inspires the McKinney team to become better versions of themselves and ensures that team members are able to achieve personal growth and continuing education. McKinney team members look to Lori McKinney for her strength in leadership and calming presence. For over 17 years, Julie has been the spark plug of McKinney. She is the central force that ignites all parties involved toward successful execution. Her electrifying personality can be witnessed daily as she fires up, leads, and inspires. 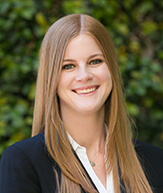 She facilitates McKinney transactions across the finish line. She builds transactional teams to be as in sync and fluid as a Nascar team. Julie carefully considers time, speed, and safety on all cylinders. 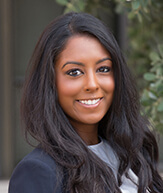 She develops teams with a calculated pit-crew strategy giving each team member a specific role (site and lease negotiations, market and economic forecasting research, and acquisition/disposition analytics). Until recently, Julie would have been considered the driver of the car. Her role now is more of a Crew Chief driving from an aerial view and overseeing the action plan and progression. She sparks the up-and-coming next generation of McKinney so they can maneuver all aspects of a transaction. Julie’s objective is to provide clients the ability to feel like they are owners of a Nascar team rather than just another business transaction. She provides confidence to clients that they have the best talent representing their name and executing on their goals while comfortably watching from their owner’s box. 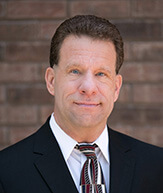 Jamie Keller complements McKinney with over 20 years of commercial real estate experience. Jamie’s greatest strengths lie in asset management, property management, and lease administration. 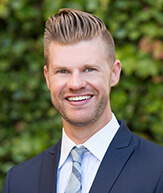 From 2000 to present, Jamie has been responsible for assisting clients with site identification, market studies, site negotiations, lease document preparation, preliminary lease language review, client and broker relations, and lease administration including addressing our client’s property management concerns. Jamie has been a constant companion to many of our corporate clients, including participation in weekly meetings and strategy. Clients become like family to Jamie and she fiercely defends their interests. Her investment in the success of McKinney’s clients motivates her to work long hours to ensure critical timelines are met. Jamie and her team’s organizational skills and technical acumen have helped her manage her client’s growth, especially during seasons of rapid expansion or contraction. Jamie’s willingness to take ownership, her organic approach to problem-solving, and her ability to think creatively have contributed to the growth of the real estate portfolios of McKinney’s clients. Nationally, Jamie has been involved in major transactions in California, Washington, Nevada, Idaho, Arizona, New Mexico, Texas, Michigan, Ohio, Louisiana, Maine, Virginia, Washington D.C., New Jersey, Utah, Illinois, South Carolina, Florida, and Puerto Rico. Nour–Dean joins McKinney with 28 years of experience and a successful track record in leading the development and management of top-ranked gaming and hospitality operations and other successful ventures in the United States, Europe, and Latin America. 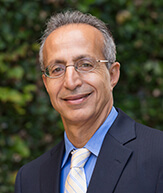 Nour-Dean contributes a high level of international collaboration to the entire McKinney team. His expertise and global connections allow the McKinney team to reach additional opportunities and assist our clients on an international platform. His services and successes include: identifying not only the right international country to host your enterprise but the unique opportunity in that country to take advantage of. Nour-Dean is a seasoned expert in areas of development that are equally if not essentially important on an international basis. He has developed market studies, feasibility studies, and financial structures; in addition to having the diplomatic expertise with foreign governments to ensure the project both commences and finishes successfully at all levels. Nour-Dean is fluent in Spanish, Arabic, French, and English. 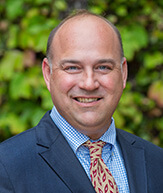 Phil Aitken brings 23 years of experience in real estate brokerage and investments to the McKinney team. After pursuing independent investment projects over the last decade, Phil has returned to the McKinney team with a deep level of entrepreneurial and investment insight required to propel its business development strategy forward. An expert at modeling and analyzing data to identify the best candidates for healthy returns and minimal risk, Phil bridges the gap between capital and advisory services to better serve our clients every day. J. Patrick McKee joins McKinney with more than 30 years of experience in real estate, architectural/engineering and construction management industries. Acting as a Quality Control manager on many of the firm’s strategic accounts, Patrick is able to bring a best-practices approach to engagements across different industries, portfolio types and management challenges. In the past, Patrick has served on Governors’ teams for economic development in Maryland, Pennsylvania and Oklahoma, and helped author the Oklahoma Business Incentives and Tax Information Guide for Economic Development. Patrick has been a speaker at IAMC Forums, IDRC National Congresses and its Pac Rim Congress. In addition, he has addressed the National AIA Conference and Yale University. He was a finalist for the Volunteer of the Year for the State of Maryland and a published author in Site Selection magazine. In 2011, Patrick received the Michael P. Hickey Award honouring service providers who exemplify the spirit of the Industrial Asset Management Council (IAMC). Andrew Meyers has over 34 years of experience in commercial real estate brokerage and is McKinney’s “go-to” expert in 1031 Exchanges. His primary focus is representing industrial tenants and investment buyers and has a special talent for medical real estate. 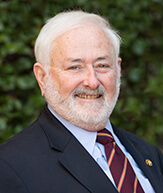 One of the milestones of his career was handling a class-action representation of 12 doctors who leased and invested in an on-campus medical office building. In this transaction Andrew was able to arrange superior terms through combining all clients into a single negotiating group. Andrew has a highly specialized background in analysis, market-based underwriting, due diligence, arranging financing, and raising equity. 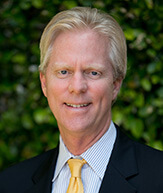 He has 20 years of experience with Argus Valuation DCF, and is a graduate of Argus Valuation DCF Advanced Training. Andrew is not limited by location or product type, having closed office, medical office, industrial, retail, multifamily, hospitality, self storage, land, and ground lease transactions spanning 18 cities nationwide. My mission in life is to make a real impact in people’s lives and serve as a trusted advisor and thought leader in the real estate alternative investments space from gaining hands-on operational experience founding eight diverse companies. After graduating with three degrees in finance, real estate, and entrepreneurship, I became a commercial real estate appraiser specializing in market valuation of industrial, retail, convenience stores, and other types of commercial real estate. After realizing that I wanted to be an entrepreneur, I started a Jimmy Johns, a large sandwich franchise, in Houston, TX. Within the first 2 years, it became the highest grossing store in Houston at $1.2M, which ranked within the top 10% for the franchise nationally. From there, I had a decision to make – either open more Jimmy Johns, or pursue my true passion, real estate, which I grew up watching my family doing since I was five years old. I think finding what will make you happy in your career is such an important piece that everyone should find. So, in 2012, I recognized an opportunity and dove in during the height of the financial collapse – it was the lowest that home values had been in 30 years. I started a real estate investment company in Dallas, TX where I utilized hard money lending tools to go purchase distressed assets, fix them up, and rent them out to tenants. I built a portfolio of about 14 homes in Dallas that I still own that are valued at about $2.5M, and started a group exercise gym there as well called Performance Group Xercise. After selling my Jimmy Johns store, I decided it was time for a new adventure, which led me to move across the US to California, where I met the McKinney family. My focus at McKinney is not only the alternative investment opportunities, but any value-add commercial real estate opportunities, and bridge the gap between industry players and Wall Street-like investors. We accomplish this by acquiring properties and building sustainable relationships with tenants to for us to grow as they do. I joined McKinney with a background in Marketing as a recent graduate and having held positions where I gained experience in digital and graphic design. My goal was to find a company where I could continue to grow my career and feel that my work had a purpose – which I instantly found at McKinney. The open and inviting culture at McKinney is what first drew me to this company and why I am still here today. Over the past 4.5 years, I held multiple positions at McKinney from an office manager to assistant property manager to marketing coordinator where I had the opportunity to learn all facets of the company. McKinney has allowed me to use the knowledge I learned in my different positions to help manage both the marketing department and company operations. My current position allows me to follow my passion for marketing and apply my strengths in branding, digital marketing and design. Through designing and implementing marketing strategies, my mission is to position and transform the McKinney brand as a purpose-driven company. I am inspired with the endless possibilities to continue building out the McKinney brand. Every day I go to work I look forward to surrounding myself with like-minded individuals who all understand the importance of the “why” behind what we do. I am aligned with a company with similar values that understands my innate joy for learning. Life has had a way of taking me through some twists and turns that have led me to where I believe I am meant to be – and I’ve enjoyed learning from every adventure. During my childhood, I lived in Thailand for six years where I attended an international school learning with and from with students who were from 40+ countries. Experiencing life abroad gave me a fierce sense of ambition to succeed and find meaning in everything I do. Fast forward a decade to my first year out of college – spent at a large global real estate firm. Working there gave me a solid foundation, but I woke up each day with the feeling that something was missing. I began pursuing a teaching program with the hope of finding purpose. While on this path for just one term, I was introduced to a position at McKinney. It was here that I discovered the meaning I had been searching for, and I’ve been here full-time ever since. What continually amazes me about McKinney is our culture: all of us are devoted to helping each other become our new best selves every single day. My coworkers empower me to push the limits of marketing, brand storytelling, and graphic design beyond the confines of our industry. The result? I’ve found happiness in a career that merges my passion for creating, and my mission to bring ideas to life. Finding inspiration in the world around me, I am always thinking about how we can continue trailblazing the McKinney brand to the next level. I was always a curious child who was intuitively drawn to learning and achieving. Despite growing up in a rough neighborhood and from humble beginnings, my parents, who were hardworking first-generation immigrants, taught me humility, empathy, and ultimately, to never settle (for others nor myself); therefore, I diligently strived for iterations of self-improvement and making a difference for others (whether in the slightest increment). Witnessing the adversities that my family and other families in my community endured, I was fanatical in my college days to chase a calling that impacts lives. At the time, my parents’ definition of civic duty and success translated to becoming a doctor or a lawyer; a byproduct of an highly-influenced misconception of the “American Dream”, but while my time at the University of California, San Diego (UCSD), I volunteered in the slums of Tijuana to build sustainable shelters for the impoverished, where I was captivated to obtain my Bachelor’s Degree in International Affairs, so that I could further engage in global issues and contribute a higher influence than chasing personal monetary wealth. At first, I knew if I was developing my professional experience, it was imperative to still find a company culture that resonated with me for purpose, challenge, and altruism. In my interview at McKinney Capital & Advisory (formerly McKinney Advisory Group), I was unforgettably questioned two topics that convinced me I found my home: “What do you enjoy learning and reading?” (Damian McKinney, CEO) and “What causes do you care about?” (Lori McKinney, CFO) Flabbergasted, it was as if I had already worked at the company, and I was interviewing myself. At McKinney, I’ve grown exponentially through both setting my own challenges to overcome, and the creative opportunities that McKinney has positively encouraged me to undertake. Now being a Project Manager, I am honored by working alongside the most devoted executives and enthusiastic colleagues in the industry, for both real estate brokerage and capital investments. Specifically, alongside with our Executive Vice Presidents, I specialize in Scope and Integration Management from initiation to full execution and closing. My role in Project Management, from internal special projects to acquisitions/dispositions, has allowed me to work with each team member in varying capacities which has nourished my innate necessity to learn and be a better servant leader. After an eye-opening semester abroad, Tyler Repstad came home inspired to embark on his next adventure: exploring the exciting world of commercial real estate. 5 years later, Tyler has become the Indiana Jones of the McKinney – forward-thinking, energetic, and always there to save the day. The world of commercial real estate comes with many unpredictable obstacles. No matter what plot twist is thrown his way, Tyler promptly readjusts the optimal solution, jumps, and lands cliff to cliff. Whether he is fending off a snake of the industry or discovering potential sites on the market, Tyler’s detail-oriented abilities propel him to find treasure for the client by the end of each movie. Tyler is not afraid to venture the unknown. From flying coach (as an analyst scouring the market) to first class (as an Advisor piloting a transaction from start to finish), Tyler has done it all. As a result, Tyler has gained a deep knowledge of local and national markets that exceed the level that would have come from a computer screen alone. For every transaction, Tyler brings the same level of sincerity and determination to exceed client expectations that he does to his own personal growth. Kara Pedersen brings more than 15 years of real estate experience to McKinney Capital & Advisory, including property valuation, commercial marketing, and residential lending. Her past experience and expertise include managing a multi-million dollar portfolio of bank-owned properties as an REO Asset Manager for her previous employer. Kara works closely with several corporate advisors, supporting the team in the areas of market research, business development, marketing, lease administration and property management. She plays a key role in serving our clients in multiple locations as she performs market analysis, site selection and tour planning with a national scope. In addition, Kara draws on her vendor management experience to manage corporate client relationships. 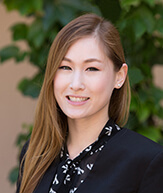 Kara’s persistence and tenacity ensure that all challenges encountered during transactions or lease administration are resolved promptly and adequately. 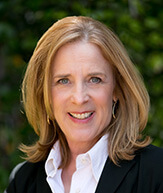 She focuses on market research, tour planning, lease analysis, and negotiation. 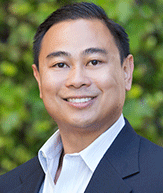 For over 25 years, Eric Hamaguchi has been managing and designing value-add real estate. Eric acts as leader for McKinney in all Hawaiian projects and community relations. Eric has extensive experience in hospitality, retail, and commercial renovation projects and investments. Eric represents McKinney in Hawaii on all hospitality and asset management projects. Currently Eric is overseeing project management at the Modern Honolulu and formerly oversaw project management at Morimoto’s restaurant in Oahu. Globally, Eric has been recognized as an instrumental leader in completing and processing projects that have a fair market value in excess of $800M. Eric’s has been active in the field of development in Hawaii and is associated with most major hotels throughout the Islands. His intellect, leadership, and project management skills represent millions of dollars in savings of owner assets. Eric has also traveled extensively throughout the United States and all Southeast Asian countries soliciting resources and assisting businesses to invest in Hawaii’s economy. In his spare time Eric is known around the island for all the volunteering and charitable contributions he provides. 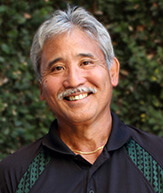 He embodies the Hawaiian spirit of hospitality and graciousness.